I answer quite a few listener questions in today’s episode. 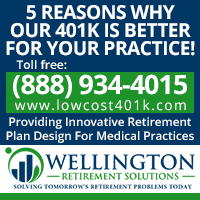 We cover planning for inflation in your retirement goals, the military pension, long term care insurance, ABLE accounts, health insurance, buying a home vs paying off debt, and more. Some of these questions I get asked over and over again so I am sure many of the readers need these answers. You can listen to the podcast here or it is available via the traditional podcast outlets, ITunes, Overcast, Acast, Stitcher, Google Play. Or watch the video on YouTube. Or ask Alexa to play it for you. Enjoy! [00:00:19] This episode is sponsored by Adam Grossman of Mayport Wealth Management. Adam is a Boston-based advisor and works with physicians across the country. 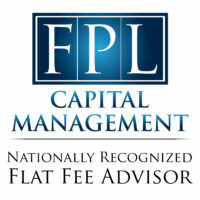 Unlike most other advisors, Adam offers straightforward flat fees for both standalone financial planning and investment management. Whatever stage you’re at in your career, Adam can help you get organized with a personalized financial plan and can help you implement it with a low-cost index fund portfolio. Adam is a CFA charterholder and received his MBA from MIT, but more importantly, you’ll benefit from Adam’s own personal experience with many of the same financial obstacles and opportunities that face physicians. To learn more, visit Adam’s website mayport.com/whitecoat to download a free e-book especially for physicians. [00:01:36] If there are guests you would like to hear on the podcast please send us an e-mail, tweet, or Facebook message. If you want to be on the podcast go here and answer the questions for yourself. We will take a look and consider putting you on the podcast. [00:02:17] If you have never seen the financial boot camp emails I put together you are missing out. 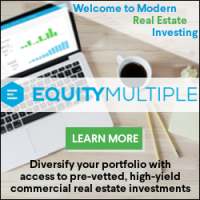 You basically get one e-mail a week for 12 weeks and they go through all the basics to get you up to speed with your peers that have been reading the White Coat Investor for years. If you sign up for the monthly newsletter you get these e-mails completely free. 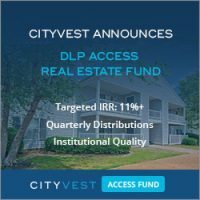 [00:11:27] “For financial advisers that charge a percentage of assets under management is this assessed annually? [00:13:21] “We are doing some retirement planning and have come upon this long term care issue. I was offered a universal life insurance plan for 2 million with a long term care rider that allows me to use 95 percent of the benefit for long term care needs. What do you think about this type of universal life with a long term care rider? [00:23:23] “Do you know if there are any free ABLE accounts? 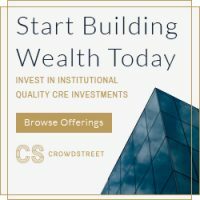 [00:37:01] Join the White Coat Investor Facebook Group today if you haven’t already. Lots of great discussions going on over there. [00:00:19] Welcome to the White coat investor Podcast Episode number 64 dealing with inflation. This episode is sponsored by Adam Grossman of Mayport Wealth Management. Adam is a Boston based adviser and works with physicians across the country. Unlike most other advisers Adam offer straightforward flat fees for both standalone financial planning and investment management. Whatever stage you’re at in your career, Adam can help you get organized with a personalized financial plan and help you implement it with a low cost index fund portfolio. Adam is a CFA Charter holder and received his MBA from MIT. But more importantly you’ll benefit from Adam’s own personal experience with many of the same financial obstacles and opportunities that face physicians. 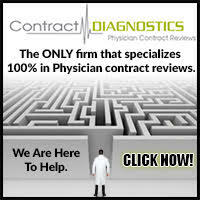 To learn more visit Adam’s website Mayport dot com slash white coat to download a free eBook especially for physicians. [00:01:10] Our quote of the day today comes from Morgan Housel who said investing is not the study of finance. It’s a study of how people behave with money and behavior is hard to teach even to really smart people. [00:01:21] I Think that’s an excellent point and if you haven’t read his article the psychology of money you really ought to get a few minutes together and sit down on a Sunday afternoon and read it. It is fantastic a masterpiece in blogging really. [00:01:36] I Wanted to talk for a few minutes about podcast guests. If there are guests you’d like to hear on the podcast please send us an e-mail or a tweet or a Facebook message or whatever and let us know who you’d like to have on the podcast. If you want to be on the podcast go to the Web site Whitecoat investor dot com. And under the about column you’ll find a guest post policy and if you want to submit yourself, you need to answer the questions in those guest post policies. And and we’ll take a look at you and consider putting you on the podcast. [00:02:08] Let’s just do some questions today. This one comes from someone who’s been listening to the financial bootcamp emails or reading the financial bootcamp e-mails. [00:02:17] Now if you’ve never seen these you’re really missing out. 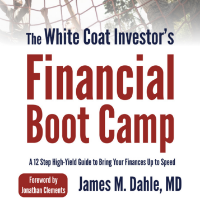 Financial boot camp is a free email course I put together. 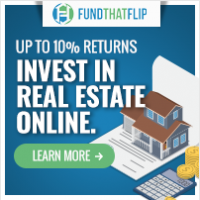 You basically get one e-mail a week for 12 weeks and they go through all the basics to get you up to speed with your peers that have been reading the white coat investor for years. 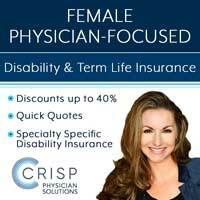 You know goes over disability insurance and life insurance and all the various categories that you need in one succinct e-mail. I’m going to package these up eventually into a book and maybe even by the time this podcast runs. But basically right now it’s that information is free to you. All you have to do is give me your e-mail address. If you sign up for the monthly newsletter and white coat investor dot com. Then you get these e-mails completely free. Now Each of them have a sponsor just like this podcast does. But it’s a great resource for those who haven’t yet heard them. Or haven’t yet read them. [00:03:12] So this one comes from someone who’s doing this financial bootcamp says I’m currently on step number eight of your financial bootcamp and I’m working to create a long term goal. You used an example of have a 3 million dollar portfolio by July 2025 such that I can withdraw up 4 percent a year to support a retirement income of 120000 per year. My question is do you take inflation into consideration when you create your retirement day financial goal. I’m 30 right now and have roughly estimated that I’ll need about 80 thousand dollars annually in today’s dollars in retirement age 65. I also estimate in myself 25 years in retirement comes to about two million needed in today’s dollars but with a 3 percent annual inflation rate it goes up to about five point seven million which is obviously a huge difference. Should I work off of the 2 million number or the five point seven million number. [00:04:00] Well the bottom line is you have to take inflation into account for any sort of long term goal. You know if you’re planning for college in 15 years you better take inflation into account. But especially if you’re planning for retirement in 20 or 30 or 40 years. Inflation is absolutely critical to include in your calculations. But there’s two places that you can do this. You can do this either with the ending number and instead of working toward you know 2 million be working toward five point seven million and use nominal returns in the calculation or you can leave the end goal as 2 million and use real or after inflation returns when you do the calculation. So when you calculate where your returns are going to be instead of using perhaps 8 percent which might be a nominal figure you use 5 percent which might be a real figure and then leave the two million the same at the end of the calculation. If you’ve never done these calculations are definitely worth learning how to do. You can do them with any financial calculator or even just an Excel or google spreadsheet. The calculation you want to learn how to do is future value and basically you put in how much money you have now and you put in what you expect your rate of return to be and how long you have until you want to have that much money. And it spits out how much you have. And so playing around with that for a few minutes is can be really valuable financial planning. If you need some help with that. You can hire a financial adviser. 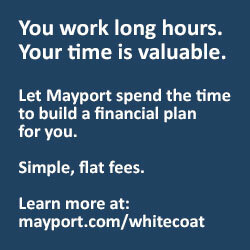 We have some recommended financial advisers such as Mayport wealth management that sponsored this podcast. Or if you’re kind of the do it yourself type but just don’t know how to do it yet. [00:05:34] I’d recommend taking my fire your financial adviser online course that’ll teach you how to do these sorts of calculations and actually walk you through them and teach you all about how to use Excel to do financial calculations. [00:05:48] My next question comes from the military Doc says I’m a 30 year old single active duty Air Force internist. Thanks to you and Dave Ramsey I feel I’m certain to do relatively well moneywise. I have no debt my networth is somewhere around Two hundred thousand. That’s pretty darn good at 30 I think. [00:06:05] I’ve gotten my savings rate up to almost 50 percent gross which I’m excited about. I guess that’s why he’s doing so well he saves half his income. It helps when you’re in the Air Force because you don’t pay that much in taxes. And so that really helps you have a high savings rate. We really had a highway while we were in there for sure. [00:06:20] My annual Air Force salaries around 150000 and I make another 75000 or so moonlighting in total I owe six more years to The Air Force. When my separation date gets here I will have served 11 years active duty. I read your post about how I should really continue active duty considering the value of the pension. I understand that however I know I will separate when the time comes simply for the lifestyle. My question is What is your opinion about serving in the reserves instead. Well I don’t enjoy active duty as much as I’d like. I like the idea of limited military contact in the reserves. The information I can find online regarding the benefits is kind of cryptic and I’m struggling to figure out if financially it would be worth retiring with the reserves as opposed to active duty for the pension and health care benefits. [00:07:00] Well a few things we ought to talk about with this letter. First of all being in the military is a primary care doc is not actually too bad. Right. This doc says he’s getting paid 150000 dollars. Now there’s lots of primary care doctor That’s all they’re making in the civilian world. And they’re not getting a pension. And so bear in mind that the less your specialty pays outside of the military the better off you’re going to be in the military. Of course being in the military, joining the military, staying in the military, is not primarily a financial question. If you want to be a military doctor and go into the military if you don’t want to be a military Doc you’re probably going to be pretty miserable in the military. And while I was in there I knew a lot of miserable docs that had done it primarily for the money and honestly they felt swindled. They felt like they’d been told something by the recruiter that didn’t end up being true and the commitments long. It takes years to pay off those commitments. And if that’s not something you want to do with your life don’t do it. [00:08:01] That said when you’ve served 11 years active duty and you got nine more to that retirement, that is a very valuable benefit. You know you even though it’s only calculated on your base pay it’s not calculated on any of your special pays or your allowances that you get such as your basic allowance for housing your basic allowance for subsistence. It’s still probably a million dollar benefit for a dog. And so you’ve got to really look at it and say well how much would I have to save each year. Have a million dollars on the side. By the time I would have hit your 20 in the military. And when you run those numbers you’ll often come out with a break even period of just four to six years in the military. So if you’ve been there longer than it often makes sense to stay to 20. Especially when you consider the value of Tricare. You know tri care might not be everybody’s favorite health insurance but the price is awfully good especially when it kicks in at forty five you know 20 years before anybody can qualify for Social Security. And so I think it is often at least a financial mistake for anybody who’s been in over 10 years to really be getting out at this point. You’ve got to really hate being in the military or really have a great opportunity outside the military to be considering separating at that point. [00:09:17] That’s not really this docs question. It sounds like he’s decided that I don’t want to be in the military but I’d like to be in the reserves which I think is interesting because being in the reserves is very much like being in the military. I mean you still get deployed. You still have somebody else telling you what to do. But the benefits of being in the reserves are dramatically less than what they are being active duty for example instead of getting that retirement starting it. You know 45 or whatever for a military physician you don’t get anything until you’re 65. [Correction- reserve pensions begin paying at 60, not 65] And so that’s a much smaller benefit. And even if you get to convert some of those years of active duty toward that it’s just not nearly as valuable and when you’ve got to wait 20 years longer to get it. So I don’t think that’s an awesome Option for someone who’s trying to get most of the benefit of being in the military by being in the reserves. [00:10:10] Is it a good option for someone who wants to be in the reserves but doesn’t want to be active duty? I suppose so. At least you get paid something for it but it’s not this awesome financial benefit out there on the side that should be tempting a lot of people to leave active duty and go toward the reserves. [00:10:25] Bear in mind the whole military retirement system has changed recently though. When I was in it was basically vesting on that pension. You stayed for 19 years you didn’t get squat. You stayed for 20 years. You got the whole pension. 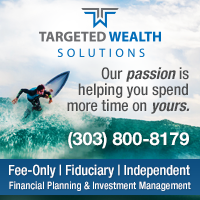 Now it’s set up such that you can opt into a system where you get a match into your thrift savings plan. And so you’re basically getting some of that money as you go along. Even if you leave early. So anybody not stand for 20 years. That’s the option I’d take because you’re getting something rather than nothing. You know if you stay in for 20 years you’ve got a little bit more of a debate going. But for most people I’m talking to are running the numbers those who are willing to stay for 20 years are still going for the traditional pension. [00:11:07] So is it worth retiring with the reserves? I mean if you’re gonna be in the reserves might as well get the retirement. But I think you need to think long and hard if you’ve been in the military for 11 years and are now considering getting out. If you like serving in the military at that point I’d encourage you to put up with another nine years and get that pension unless you’re looking at a very high salary Leaving the military. [00:11:27] All right here’s another question for financial advisers that charge a percentage of assets under management Is this assessed annually? yes it is. Every year you got to pay that percentage multiplied by your assets. Sometimes it’s broken down into a quarterly fee just to keep you confused and to get that money into the adviser’s hand a little bit earlier but that’s basically the way it works out. So if you’re paying 1 percent of assets under management and you’ve got two million dollars with that adviser that’s twenty thousand dollars a year. If you have five hundred thousand dollars with that adviser. That’s five thousand dollars a year. And I think it’s a really important point because I think to many people that have an adviser they pay with an asset under management fee are not doing the math. And they don’t realize Every year they’re paying more for less and less advice. It just doesn’t take that much more work to manage a two million dollar portfolio than a two hundred thousand dollar portfolio. I’ve been doing this for a long time now. And you know I’ve managed a 2000 dollar portfolio, a twenty thousand dollar portfolio, A 200 thousand dollar portfolio and a two million dollar portfolio. It’s all basically the same. It’s about the same number of steps I got to do every year, the same amount of work. I guess there’s a little more liability as the portfolio gets bigger. But honestly you know that’s the problem with asset under management fees is as one adviser told me that the best kind of passive income there is. 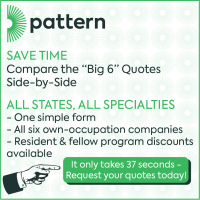 [00:12:50] But you don’t really want to be somebody else’s best passive income. 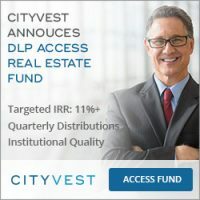 I saw a paper that was written to financial advisers recently that basically told him don’t discount your fees because nobody’s paying attention to it. 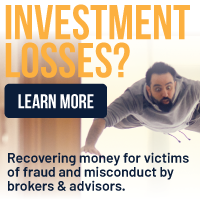 And they actually surveyed wealthy financial advisory clients and 90 percent of them honestly didn’t know what they were paying their advisor. And so I think that’s a big problem. You know I don’t have a problem if someone hired a financial adviser, getting good advice for a fair price. But you got to know what you’re paying them or how do you know if the price is any good? [00:13:21] All right next question. This one’s a long one. Thanks for the work you do. Wish I’d stumbled on your site when I was a resident. Me too. I’m currently an orthopedic surgeon. Tenth year in private practice, Married three kids, enjoying life. My husband and I are modest spenders and have reasonably low interest mortgage a few student loans at less than 1 percent interest. We were able to save a lot and are focusing now on finding 529 for kids, max out all our retirement plans and IRAs, we have abundant disability and term life policies. We’re doing some retirement planning and have come upon this long term care issue. [00:13:52] I have an aunt that recently passed away and unfortunately drained all of her assets in the last two years of her life in addition to requiring one of her sons to be our primary caretaker. It wasn’t a good situation. Their uncle had to move back to Italy because he could not afford the long term care he needed after a sudden decline in health. So this issue is fresh in my mind. Another long term care insurance is expensive and hard to find. I was offered a universal life insurance plan for 2 million with a long term care rider that allows me to use 95 percent of the benefit for long term care needs. And the list is extensive including home care etc. It’s indexed to the S&P 500, has limits on losses below zero percent and caps on gains about 12 percent. The premiums are somewhere between 12 and fifteen thousand dollars per year for 20 years with no additional premiums required after that. Premiums are front loaded so we need to skip a year for hardship at some point we have the flexibility to do that. I know how you feel about whole life and I share your sentiments. What do you think about this type of universal life with a long term care rider? [00:14:46] Wow. We’re mixing Insurances. None of which I like and hoping that somehow if you mix them all together in some way that I’m going to like them. Chances are I’m not going to like them and I’ll tell you why. First of all long term care. Right. This is an orthopedic surgeon that is a modest spender. If an orthopedic surgeon, That is a modest Spender can’t afford to sell insure long term care who can? This is fully my plan for long term care. I’m self insuring it. I’m not buying long term care insurance. And the reason why as I’ve actually priced out what long term care costs in my town. I went and looked it up on the site. I looked at the Medicare site. I called up the actual facilities providing this and found out what it costs. And I ran the numbers and I realized I can pay for that for years for myself or my spouse without impoverishing the other spouse. So I don’t plan to ever buy long term care insurance which is a good thing because it’s not great insurance. [00:15:46] You know it’s not really a very mature market. The people that were offering it at first underpriced it. And when they realized with long term care was costing they basically just went out of business. So people started buying the stuff in their 40s or 50s have been paying for it for 10 or 20 years and then they ended up with no policy whatsoever. The companies just folded up and walked away. So they went to get more long term care insurance from another company and realized that was dramatically more expensive. And so they end up paying for nothing basically. [00:16:17] The other problem is you end up with you know having to fight the insurer for what they’re going to pay for. You know and you end up having to pore through the details of the policy and you get nickel and dimed and end up having to fight for somebody else to pay these expenses. Far better if you are able to To self insure this risk and then you’re a cash buyer and you have all the flexibility to go anywhere you like and buy whatever services you like when you need them, not by him when you don’t need him. Now who can help ensure this? Well I think you’re going to need seven figure portfolio to do it at a minimum and probably closer to 2 million plus. But most docs are going to want to have portfolio about that big when they retire. And so I think most docs are to be able to self insure this. 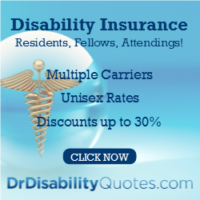 [00:16:58] There’s basically three categories of people when it comes to long term care insurance. You’ve got those with not very many assets at all. You know maybe a 5 or low six figure portfolio. These people are basically going to spend down to Medicaid levels and then Medicaid’s going to pay for their nursing home. Then the people between that level and where you can self insure. This is you know mid to high six figures maybe low seven figures. And these people are worried if they’re married that one spouse going into the nursing home is going to spend all the money and leave the other spouse impoverished. These are the people that ought to consider long term care insurance. But I think most docs ought to be able to save enough especially if they find the white coat investor in their 30s or 40s to be able to to self insure that need. Now if you’re single. Even if you have a you know high six figure portfolio what’s the big deal if you have to spend your own money for long term care. Right. Even if you’re going to run out of money at that point you spend down to Medicaid and you’re like anybody else. And so again if you’re single I don’t see a huge need for long term care insurance. [00:18:07] OK. So that brings us to this question for some reason this doc doesn’t want to buy long term care insurance despite the fact that she seems to want some sort of coverage for long term care needs whether she needs it or not. So instead she’s looking at a cash value life insurance policy. Well this is just another Bell and whistle stacked onto a cash value life insurance policy to try to sell them. Remember these things have huge commissions. Those who sell them get paid very well to sell them. So they try very hard to do so. And so they can put a rider on that allows you to access the cash value or even the death benefit to pay for long term care. Well they think that’s the cat’s meow because they find somebody like this doc who’s had a family member recently who had long term care needs. And they use that emotional sales ability to sell policy that you know the doc probably honestly doesn’t need. [00:19:00] This particular policy is not a whole life policy it’s not even a variable life policy. This is an index universal life policy. And these have all their own problems in addition to the issues with long term care. Just like a whole life policy you know you get negative returns for the first few years somebody has got to pay that commission to that agent and it’s got to come out of your premiums plus the insurance companies got all its own expenses and wants to make a profit. And that kind of thing. So the bottom line is you’re not even going to have a zero percent return until you’ve had this thing for five 10 maybe 15 years. So it’s not a great thing to buy just for a long term care need. You’re probably better off buying long term care insurance if that’s what you want. Well how these get sold most of the time to people is people that are afraid of the stock market. They want stock market gains without taking stock market risk. And somehow the agent selling or is able to convince them that this vehicle is going to do that for them. The truth of the matter is most index universal life products are going to have a return very similar to life insurance products if you hold them throughout your entire life. And what’s that expected return? Well probably in the 4 to 5 maybe 6 percent range if you hold the thing for decades and decades until your death. Most of this whole life policies only guarantee returns of about 2 percent a year if you hold to your death. You know you don’t get that 2 percent in the first five or 10 years. The bad returns are very much front loaded and the better returns I’m not sure I ever call them good, but the better returns occur toward the end. [00:20:36] And so before you buy one of these policies you’ve got to realize this is like getting married. It’s till death do you part. And if you want to divorce yourself from it any time sooner it’s going to cost you a lot of money. So you need to know the ins and outs of how this thing works, know the pluses and minuses, the upsides and downsides, and really understand what you’re buying and be ok with it. Because getting out of it’s going to cost you a lot of money. So in this case I’m not sure I’d recommend this doc buy an IUL policy for the long term care benefit rider that they’ve put on it. I think that’s just another method being used to sell these things to people that probably shouldn’t be buying in the first place. [00:21:15] All right next question I’m planning to quit my job and start as an independent contractor with plans on partnership for next year. 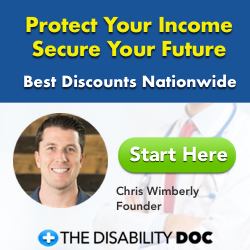 Do you have any posts about where to get affordable health insurance for individuals and families as independent contractors or practice owners. This is one of the side effects of our crazy health insurance market right. I mean people either go to the government to get it or they go to their employer to get it. And so there’s very few of us that are in the same boat as me were you actually just go out and buy your health insurance on the open market. I know exactly what health insurance costs. I know exactly how much I’m going to need in retirement pay for health insurance because I write a check for an every month. I know health insurance costs, it cost my family about 1300 dollars a month for a high deductible plan. Little bit more if you include the dental benefits and that’s just what this stuff costs. If you’ve never bought it for yourself you’re probably going to get sticker shock the first time you go to do so. It costs more than all my other insurance combined. So where do you buy it. Well if you’re a doc you’re not going to qualify for any subsidies on the exchange. So there’s not really any point in going to the Obamacare exchange. You might as well go get a health insurance broker that works down the street. Sit down with them have them show you the options in your area and buy the one that matches what you need and seems to be best priced. You don’t pay any more to buy it through a health insurance broker. So you might as well get their expertise to help you get the best when you can. [00:22:33] Another option you might want to consider are these health sharing plans which generally have kind of a Christian focus on them. But these are often have the equivalent of premiums, they call them shares, that are less than half as much as health insurance. Now it’s not health insurance. There’s some significant differences there that you really need to be aware of before you dump your health insurance and pick up one of these health sharing plans. But for a lot of people including a lot of docs they’re really happy with them. You know you end up paying a lot less money out. And yes you have to self insure some of the smaller things but I’ve yet to hear somebody who said the company did not pay as they agreed to pay. And when I say the company I mean all the other people in this cooperative the basically you know send you money when you have a health need. [00:23:23] OK. This one comes in via Facebook. Do you know if there are any free ABLE accounts. I just found out that my state, Georgia, charges 3.50 a month. an able account is a lot like a 529 but it’s for disabled kids or disabled people. And basically it allows you to have you know some tax advantages and saving money for disabled people. And most of them have some relatively low expenses just like 529. These are all state specific. Some states don’t even have them. I don’t think Utah has one yet. I have to double check though. But typically like a 529 there’s some fees. I mean it costs money to run this program in Georgia apparently they’re charging 3.50 a month. I think that’s pretty typical might you be able to find one that’s a little bit cheaper another state maybe but you’re going to pay some fees anywhere you go. And you know it’s probably going to be somewhere between 30 and 100 dollars a year. I don’t know that I’d go crazy because Georgia is charging a 350 a month. That’s probably very reasonable. [00:24:19] OK. Here’s another question that came in the Facebook my tax adviser and I are unclear. 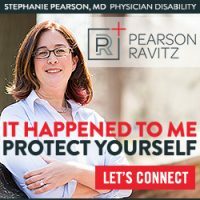 Can you use an LLC as a pass through business or does it have to be an S corp for a physician making less than 350000 dollars per year joint? This question bothers me. Because the tax adviser is unclear on how this tax law works. Why would you go to a tax adviser when they’re unclear on how something works? I mean if you’re having a teacher tax adviser multiple things you probably need a new tax advisor or maybe you should just be doing it yourself. But in this case they’re talking about the past through business deduction and if you’re a doc with taxable income under 350000 married filing jointly you qualify for this if you’re self-employed. And so that’s a great deduction. That’s new this year. And I hope if you qualify for it you become very familiar with it because it can be really huge. I’m not going to qualify for it on my physician income because our total income is over that three hundred fifteen thousand dollar limit. But the White coat investor income is going to qualify because it’s not a service business as defined in the law. And so it’s going to be a huge deduction for us this year we’re pretty excited about it. [00:25:31] But the question is can you use an LLC or does it have to be an S corp. Well an LLC isn’t a taxed entity an LLC if there’s only one member in it is taxed either as a sole proprietor. Or as a corporation. And if you’ve made the selection an S corporation. If there is multiple members of the LLC you’re filing either as a partnership or as a corporation. And so LLC is basically disregarded as far as the IRS is concerned. For all they care you’re a sole proprietor you’re a partnership or you’re a corporation. And so no you get this deduction. You don’t have to be a corporation. You can be a sole proprietor or a partnership. And so no reason to incorporate just to get that deduction. Sometimes there are reasons to incorporate particularly an S corp in order to save some Medicare tax. But as a general rule that is not what you’re. What you need to do in order to get this deduction. [00:26:26] All right. Here’s another question I got. I’m sure you get this question a lot. Yes I do. My wife and I are trying to decide whether we should go ahead and buy a home at this time versus keep paying my loans down aggressively and put off Home Buying for another one or two years. First a little background I’m currently finishing my first year in private practice. Radiologist. We decided a few months ago to move to a new location be closer to family. Now that we have a little one. So our new location and a new job. Currently I still owe about a hundred twenty five thousand dollars in student loans at six point eight percent. Refinance those suckers. Geez if you’re paying back down your finished your student loans and you have six point eight percent, refinance them! I managed to pay about 100000 often graduated from Fellowship last June. [00:27:08] That’s pretty awesome I think. So at that time about 225,000 total. Our plan was to pay off my loans completely and save up for a down payment on a home. Currently I have enough to complete the path my loans today. But that would clean us out. But I think we kept on this course we could certainly have them paid off completely by the end of the year. Those guys are doing awesome. That’s true Living like a resident. My concern is that in doing so we’d be starting from scratch again getting a downpayment for a house and by the time we would be able to put 20 percent down again we might be talking about interest rates in the 5 to 6 percent range. We probably will end up having to spend about 600000 to a million for a house where we’re going to move so that increased interest rate could really hurt. 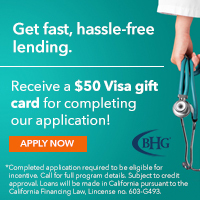 Another option would be to utilize a physician’s loan versus a 30 year conventional mortgage probably with PMI at this time and put down as much as possible. Eventually we’d hoped to refinance to a better rate was a fixed 15 year mortgage and pay the student loans off over the next two to three years. To complicate things even more I also worry that any house we buy now may not be our forever home as I know from the online course we probably need to be committed to living there at least 5 years to make it worth their time to recoup 15 percent in and out fees associated with home buying. I’m just unsure the best course of action sage advice would be much appreciate appreciated. [00:28:17] This doc is doing great. 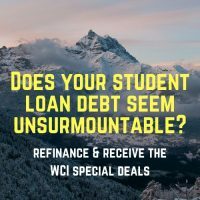 You know aside from the fact that could’ve saved a few thousand in interest by refinancing loans but actually understands all the relevant principles here and outline them in the question. There isn’t a right answer to this question. All right. The problem is there’s really two questions here. The first one is do you rent or do you buy? And the second one is do you spend more on housing now or do you wait before you spend more on housing. So the answer to that first question is that it’s OK to buy when you are in a socially and professionally stable situation. The longer you’re in the home the more likely you are to come out ahead on that decision. At five years I think it’s about a 50/50 proposition. The answer to two is that it’s a very individual decision. Would it be OK for this couple to ramp up spending now. Yeah probably would. They’re doing great. They’ve got solid income they’ve got a relatively low debt to income ratio. They’ve got basic financial literacy. That of course would probably mark the end of their lives like a resident period. So would they be better off financially to delay moving up in housing for another year or two. Yeah absolutely. But at a certain point you know you don’t wanna be the richest guy in the graveyard either. I think in this case they’re not very far out of residency delaying another year or two isn’t a big deal. I think I’d probably do it but I delay another five years. Probably not. 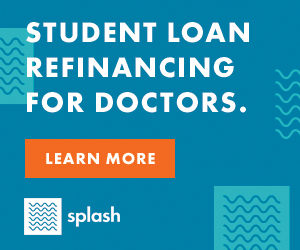 And then of course there’s always the option of taking the physician loan which isn’t a bad option either especially if you’ve got better uses for your money, like maxing out retirement accounts, or paying off high interest student loans et cetera. Sometimes a down payment isn’t a super high priority when it comes to your cash needs. It does give you a better deal on a mortgage Most of the time however. [00:29:55] I think the big thing here is this Docs panicking a little bit about rising interest rates right. He had a very reasonable plan but then he sees interest rates going up and he’s like I don’t want this million dollar mortgage at Five or six per cent what I could get it today at 4 percent. you know when I see that kind of reason I think about my first mortgage for the condo Katie and I bought in 1999 it was 8 percent. You know even 6 percent seems very cheap to me. You know that’s cheaper than the second mortgage we got our second home. And so these very low interest rates are pretty new, relatively speaking for those buying homes but even if you had to pay an extra 1 percent. On 500000 or 600000 dollar mortgage that’s only five or six thousand dollars a year it’s not the end of the world and if it helps you get a much better start on your financial life to delay a year or two. Even if he end up paying a little bit more in interest on the mortgage I think that’s usually a good move. But you know this is a very individual decision it’s not like there’s a terribly wrong answer here. [00:30:59] Next question comes in from the Forum. I own the Vanguard 2020 target date retirement fund in a taxable account. I want to transition to just purchasing the individual components of such a fund myself and that way purchase more tax efficient bonds because remember the bonds in the target date retirement funds are nominal bonds. They’re not municipal bonds that are tax free. When you’re a doc and you have bonds and taxable you probably want the municipal bonds. I’m thinking about the California specific fund because I lived there. I’ve owned this for more than a year I’ve made over 4000 dollars in profit. I sell it and start from scratch. Does it make more sense to keep it and just use future investor dollars to start purchasing the individual components or appreciate someone help me crunch or understand the numbers between these two choices. [00:31:43] Well if you sell it today you’re going on you’re going to fifteen hundred bucks in taxes on it payable to long term capital gains rate which is probably twenty three point six percent. You know that’s not the end of the world. 4000 dollar gain. Twenty three point six percent. What’s I work out to about a thousand dollars in taxes. So you could just start over there and sell it and move on. Another option is just to stop reinvesting the dividends don’t put any more money in it and let it ride but eventually you’re either going to leave it to your heirs give it to charity or you have to sell it and pay the capital gains. Meanwhile those can be kicking out that tax inefficient nominal bond and income nominal bond interest. And. You know that’s probably not something you want to deal with for the rest of your life nor do you probably want to deal with a holding in that taxable account. That’s only a few thousand dollars. And so I think in this case I’d probably move on. You just realize you’ve made a mistake. [00:32:39] Remember when you’re starting a taxable investment account there’s a little bit more hassle when you make mistakes upfront. When you’re doing it in your Roth IRA or your 401k You can basically sell with no tax consequences at any time. If you made a mistake you just correct it. No big deal. In a taxable account especially if you’ve got significant gains that may not be worthwhile. In fact when you talk to lots of older investors in their 70s 80s 90s they’ve got all kinds of legacy holdings in their taxable accounts and they’re basically just waiting to die to pass those tax free to their heirs. And so trying to be smart. About what you put in your taxable accounts that means tax efficient investments like Total Stock Market Index Fund, Total International Stock Market Index Fund, municipal bonds, whether inside a mutual fund or outside of mutual fund. Try to be smart as you begin investing in taxable account. And if you ever have a need to just flush some of those Investments with big gains you can always donate them to charity. That’s what we do with our Highest gaining taxable investments. We give to the charity we get the full charitable contribution deduction and neither charity nor US pay any long term capital gains taxes. [00:33:50] OK. Here’s one from a resident in orthopedic surgery about to graduate planning to do a one year fellowship. Says he’s accepted a job in my hometown with a guaranteed salary of 500000 per year for three years. Sounds pretty awesome. After that there’s potential for significant bonuses without a buy in. I owe three hundred and fifty five thousand dollars in student debt. I’ve done four years of IBR qualifying for public service loan forgiveness. My fellowship years does not qualify as it’s not a 501 C3 but my job afterward is. My plan has always been to go for public service loan forgiveness. But now that I have that my student seven point five percent. 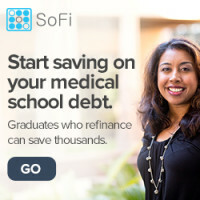 And sofi has an offer to me to refinance for 4.5 percent I’m thinking of bailing on the public service loan forgiveness and just paying six thousand per month and getting rid of my debt in six years. The reason being as you know is because I’m concerned public service loan forgiveness will be capped, repealed, disqualified for my income bracketetc. Knowing that I’m asking for advice and there is no right answer if you were me would you bail on public service loan forgiveness to get the lower interest rate and a solid plan to become debt free in six or seven years or less. Or stick with public service loan forgiveness and risk legal changes. Or after six more years of payments with the seven point five percent rate going to get forgiven and not being there or me being stuck with a big pile of debt I could have paid off as a young attending. Thanks. [00:35:08] I mean this is someone that’s already made four years of payments toward public service loan forgiveness and knows he’s going to be working at a 501 C3. This is a no brainer. Go for public service loan forgiveness. You’re going to be debt free in 6 years under either plan. If you’re planning to spend 6 years paying off the loan or whether you get forgiveness in six years, six years till you’re debt free. But here’s the way you hedge your bets on this. 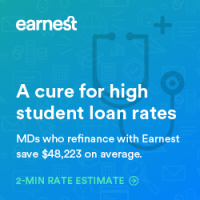 If you are going for a public service loan forgiveness you still make big huge payments toward your student loans as though you’re paying them off in a typical 2 to 5 year Live like a resident period. But you make them to yourself and to your investing accounts. And that way if something happens to public service loan forgiveness and you get hosed because the program changes and Congress decides they hate doctors again then you take that money from the investing account and you pay off the loan. Either way you’re still get out of debt in the same period of time. And so that’s why I hedge my bets If I was going for public service loan forgiveness. The one downside to that is if it ends up going under you paid 3 percent more interest than you otherwise would have. But that’s a relatively minor cost for the potential to get hundreds of thousands of dollars forgiven. [00:36:18] All right. That brings us to the end of today’s episode. This one was sponsored by Adam Grossman of Mayport wealth management. Adams a Boston based adviser and works with physicians across the country. Unlike most other advisers Adam offers straightforward flat fees for both standalone financial planning and investment management. Whatever stage you’re at in your career Adam can help you get organized with the personalized financial plan and can help you implement it with a low cost index fund portfolio. Adam is a CFA Charter Holder received his MBA from MIT. But more importantly you’ll benefit from Adam’s own personal experience with many of the same financial obstacles and opportunities that physicians face. To learn more visit Adam’s website Mayport dot com slash white coat to download a free eBook especially for physicians. 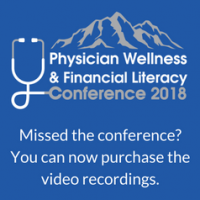 [00:37:01] Be sure to check out the many options for learning more about Your finances available to white coat investor. There’s a blog, there’s a newsletter, there is videocast on YouTube. There are online courses there’s a book there’s a forum there’s social media feeds on Twitter and Facebook and the new Facebook group. There are lots of ways to learn about this. Make sure you get in touch with us and figure out what you’re doing with your finances. [00:37:29] Head up shoulders back we’ll see you next time. You’ve got this stuff please please pay a little bit attention to your finances and that way you’ll be able to focus on your family and your practice and those things that really matter in your life. See you next time. I like your your thoughts on self insuring for long term care. If LTC costs are estimated at 90k/yr (and who knows what it will be in 40 yrs when I might need it if I make it that far), I figure I need to have a portfolio support that plus maybe 50k or so for the surviving spouse then (had been thinking of a portfolio providing $125k/yr but that now seems low if a big chunk of that would have to go to LTC). Is this reasonable? How would you approach it? The military pension definitely sounds like golden handcuffs but it is quite a valuable reward for staying. Not sure 9 yrs of staying is an easy stint but if he can make it the benefit is amazing. People talk about FatFIRE. I guess my goal is morbidly, grossly, sandwich-under-the-pannus FIRE. There should be plenty of slop to cover LTC issues. One correction: Retirement pay for eligible reservists begins at 60. I’m 15 years into national guard service. I always agree with Jim that you need to want to be in the military first and foremost. But after that, it’s 39 days of work a year for $40k if you take the annual bonus. Plus tricare for my family is $200/mo and I get CME money up to $2500 a year. It diversifies my medical career and allows me to cut back on full time job and carry less patients as a PCP which makes my job more enjoyable (less phone calls, emails, etc). Dad started getting his excellent pension for national guard at 60 after serving for 30 years. Question for Gordon: my mom had tricare for free in her 50s based off my fathers service. What is that? I thought that was tricare for life but neither of my parents were 65 or currently serving. With 11 years of active duty time, finishing up in the guard or reserve is a no brainer. I spent 9 years on active duty and have now been in the air guard for 13 years. In 13 years I have never been involuntarily deployed in the guard. On top of the regular pay there are frequently retention bonuses offered…I just got a $90K bonus for another 3yr commitment. Based on the often recommended 4% withdrawal rate, a guard retirement with 11 years of active duty would be like having a nest egg well in excess of $1M. Walking away from the military with 11 years complete is a 1 million dollar mistake. I served 13.5 Active Duty, 3.5 in the AF Reserves and am currently in Air National Guard. There is not much difference in pay or benefits between the Reserves or Guard in the grand scheme. Just different ways of getting paid between the two. With Tricare while you are in, Tricare when you reach 60 and a pension worth $1 mil (approx $3300/mth age 60-85 based on the number of points the doc who asked the question will have) there are lots of reasons to continue serving. Leaving Active Duty, the doc in question will miss out on pension/retirement checks of about $750-800k age 45-60. If you can make up that difference working on the outside age 37-60, not to mention the $25-40k you’ll make each year, you’ll be much better off going to the Reserves or Guard and soon as you can. For me, an ED physician. First three years: $25k bonus per year for about 18-22 shifts mandatory a year. Pay for a shift: Stupid at about $600/shift BUT virtually no malpractice. Only be an IMA (Individual Mobilization Augmentee) – you call the shots. When you work and where you work but there is a minimum number of “shifts”. As an IMA – your submission form states “Performed duties of assigned position” so you could do nearly anything. Examples of what I’ve done: Drop Zone doc, work in IT, work in the ER, work teaching residents mountaineering, paintball with residents. The list is nearly endless. Do four years in the military and can get the Post-911 GI Bill for one of your kids. An $81k value. Incredible. The Reserves promotes you at about 4.5 years to LTC and COL and you don’t have to do ILE or CGSC either. Regular Army is 6 years for promotions on the button. You get military discounts: For last year, I saved $4500 on a home project at Home Depot. Saved another $8000 on medical bills. Also incredible. When you sign up for the reserves, you can have an option for no deployments for the first 3 years. Your retirement is essentially (Active duty days done in total)/(20 years of days) x 50% x your base pay on the pay tables. For me, I had 14 years of active duty and life dictated my term then. Six years later, I now have 6000 active days. 6000/7200= 82%. Multiply that by 2.5% per year for 20 years or 50% = 41% of my base pay on the charts. So not full retirement pay. Bottom line: First 4 years with the bonus and no deployments and the post-911 GI bill for one of your kids or yourself for 18-22 days per year? It is an opportunity that would be stupid to pass up. There are no free volatility-reducing lunches that will inexpensively reduce your portfolio risk, and there is no risk fairy to insure the risky parts of your portfolio on the cheap. Yes, there are people who—and vehicles that—will do this for you, but they will cost you a pretty penny.